Everything in God's creation has a spirit and therefore is energy. This includes nature, the plant and mineral kingdoms, humans and animals. "We stand somewhere between the mountain and the ant." 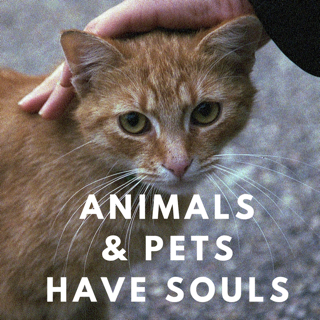 Animals are an important and intrinsic part of our lives and of planet earth. They carry messages and meaning just as nature does, and as living matter both are spiritually interlinked. Animals can act as messengers, and have been labelled as animal spirits, animal guides, power animals and animal totems, and also have been attributed as offering the gifts of animal medicine, as animal signs. While some of these terms have specific meaning, many can also be used interchangeably to mean the same thing. Ancient people across many cultures have revered honored, respected and even worshipped animals and the environment. Animals were respected and considered very sacred. 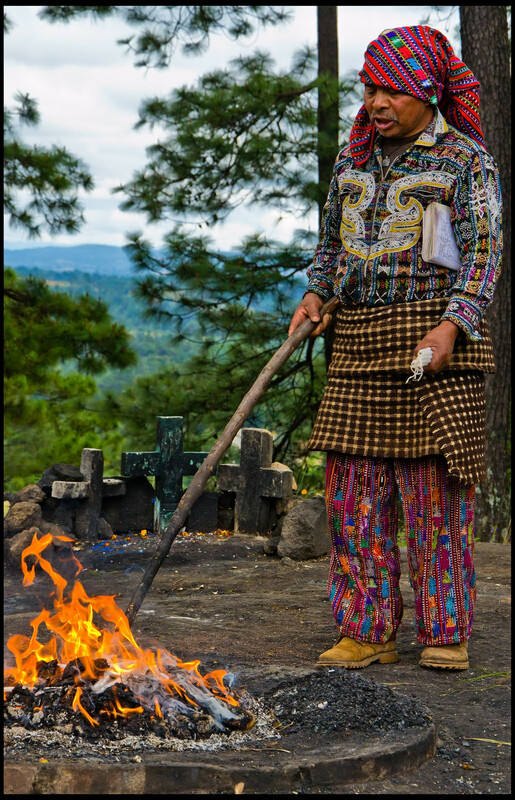 Ancient and shamanistic cultures fully understood and interacted with animal spirit energy. You see this for example in Native American namesakes, vision quests and various other traditions. ​​Spirit animals are an energy that anyone can work with, and each animal has its own essence, archetype and message.​ A spirit animal can be your own personal guide or protector, a powerful spiritual ally to both work with and watch over you. 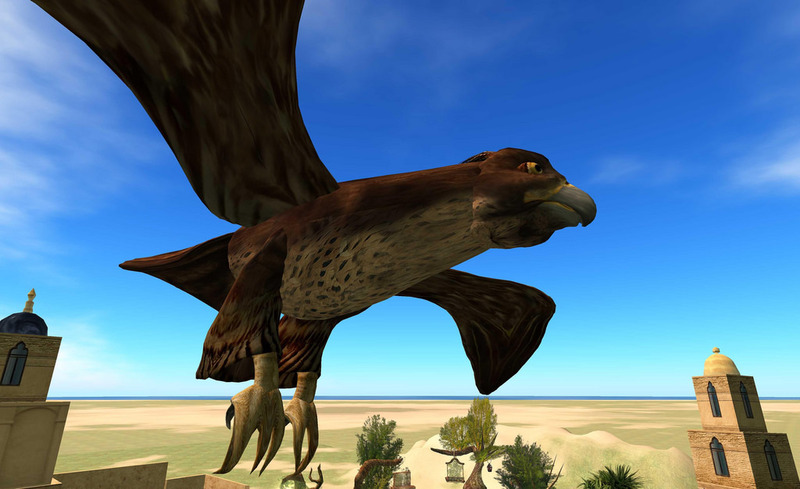 ​Through shamanistic journeying, shamans can meet with their very own animal guide that will become their personal 'power animal' which helps the person with healing, guidance, knowledge, inspiration and protection. For some tribes, a power animal is with you for life, and for others it is only for a phase or to fulfil a specific purpose. A person who has a power animal attributed to them will often find that they have personal attributes or traits in common with the animal,and can take on their essence and power, which is why they are refered to as power animals. It is important to note that anyone can meet or summon their own power animal through spiritual practise and intention, you dont need to be a shaman, although it is important to be mindful and protected. An animal totem, specifically, is said to be a traditional allocation of an animal as an emblem. It is when a specific animal is chosen as a symbolic representation of a particular group of people such as a family, a unique lineage, or in other cases a particular clan or tribe. The animal therefore becomes a powerful emblem for a group and can be depicted also through sacred objects. ​These days you could say that some sports teams take on an animal as an emblem, mascot or totem figure to represent the fierce, warrior-like nature or specific quality of that animal as a personification of what traits they want to bring forward or depict as a team, or as a symbol of luck and vigor. Just like New Zealand teams do the Maori 'haka' warrior dance as a prelude to games, team animal totems are a kind of common modern usage of an ancient rite. In American sports teams there are Chicago Bears, Phoenix Coyotes and the Atlanta Hawks. In Australian Football League we have the Sydney Swans, Adelaide Crows and Richmond Tigers. I'm sure you could name many more. Both animals in our physical world, and spirit animals of the celestial realms can make their majestic presence and essence known as sacred messengers, mystical talismans, wise guides or potent guardians. As Spirit is in all things, this is why we get signs through nature, objects and animal people. ​​Spirit animals can manifest physically into your life as a concrete sign, or energetically through the spiritual worlds. When in spirit form they are technically formless, but can appear through dreams or apparition. Either way, they work through the realm of Spirit. ​Just like we can somehow be synchronistically at the right place at the right time as if by magic, that is how the world of spirit animalism works. The Great Spirit moves them and provokes their presence, and it is clear that an undeniable supernnattural force that interweaves through us all is working behind the scenes, traversing the shadows and manouvering a kind of stage like magic in the performance called life. You might like to shift your every day thinking and consider that all animal sightings that you encounter, no matter how big or small, are of personal or spiritual significance, and notby random chance. Much like the study of the properties of flowers or essences as vibrational medicine, 'animal medicine' is a Native American tradition where​ each animal is recognised (through sacred observation of the animal's behaviour and traits) as having their own unique spirit or essence. Each animal in the vast animal kingdom is given special meaning or a kind of specific lesson to offer, as well as healing gift, talent or ability in order to help them in life or more specifically overcome a personal phase or challenge. ​The way that you receive animal medicine, or that it magically manifests, is through animal signs. This is when you see an animal or keep seeing it, whether it be in physical form, or in dreams, or as a sign through words or images. When animals act as spirit guides, they come along to send you a message or awaken something in your subconscious mind. The animal comes into your conscious awareness in order to offer you a message. Through its very being, nature, appearance, movements, characteristics and essence, it has insight, guidance and wisdom to give to you. 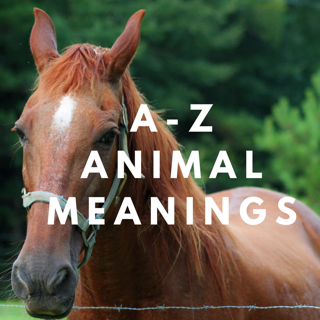 Click here to acess A-Z List of Animal Spiritual Meanings. 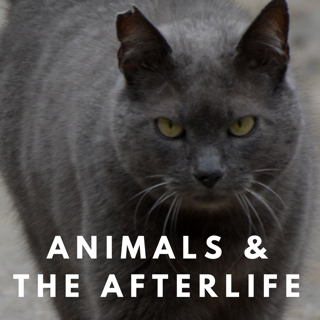 Through Divine intervention, animals can appear to us using all sorts of means. ​They might appear for example as a bird painting on an outdoor mural, when you drive past a car and its number-plate says 'OWL33', you see a dead fox on the highway, a kangaroo jumps in front of your car, you see an advertisement for toilet paper with puppies, or you walk past a lion statue guarding a home. Spirit even use every day objects from the environment around us (such as images, words, signs and music) in order to communicate. These objects then become spiritual signs or omens from the moment you see them. In some cases they carry sacred energy. It is like it just pops out, catches your attention, or its like a frozen moment in time. It might come in a magical or mysterious way, or very simply appear in front of you.​ In order to access their magic and wisdom, all we need to do is ask, open ourselves up and look, feel and listen. You can also use animal objects such as talismans in order to imbue and channel that animal's medicinal energy. Wearing one can make you feel safe, powerful and connected symbiotically to the animal's essence.